Taipei, Taiwan – July 31, 2014 – ADATA® Technology, a leading manufacturer of high-performance DRAM modules and NAND Flash application products, today launches the Premier DDR4 2133 Unbuffered DIMM memory, which supports the latest Intel® Haswell-E platform for extreme performance. 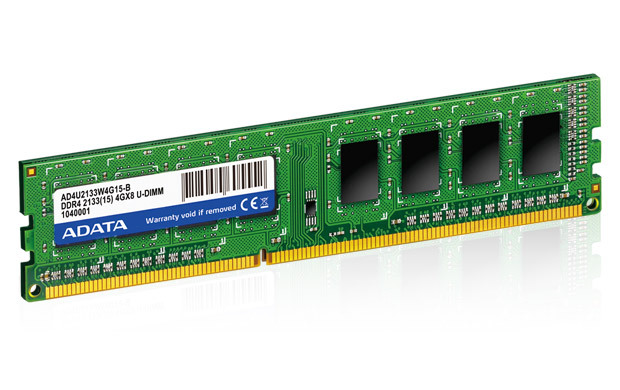 Thanks to the benefits of DDR4 and rigorous production of ADATA, the DDR4 2133 U-DIMM memory module is the best upgrade solution for PC DIY users. With speeds of up to 2133MHz and a transfer bandwidth reaching 17GB/s, the Premier DDR4 2133 Unbuffered DIMM provides greater efficiency of data transfer than previous generations of DRAM. Compared to DDR3, DDR4 memory features faster clock frequencies and lower power consumption. Running at just 1.2 volts, the new DDR4 2133 Unbuffered DIMM can save 20% of the power making it an environmentally friendly component. In desktop PCs, the advantages of DDR4 will lead to lower costs and improved overall performance. All ADATA memory modules are produced and tested by a rigorous quality control process for rapid computing and stable operation. 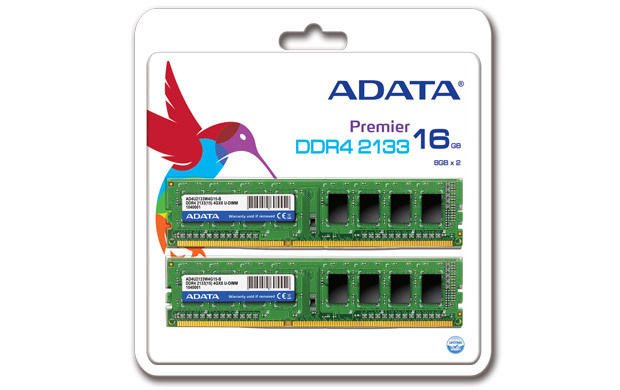 In addition, ADATA memory modules provide customers a lifetime warranty for the maximum assurance with excellent service. ADATA Technology, one of the world’s largest vendors of DRAM Modules and USB Flash Drives, provides complete memory solutions, including memory cards, solid state drives, and portable hard drives. ADATA products are internationally recognized by Germany’s iF Design Award, red dot Award, CES Best of Innovations Award, Japan’s Good Design Award, Best Choice of Computex Award, and Taiwan Excellence Gold Award. The company’s slogan of Love, Life, Dreams, embodies the ADATA brand and the role of innovative memory products in the human pursuit of universally cherished ideas. For more information, please visit http://www.adata.com/index.php?action=product_feature&cid=1&piid=302.